Where to travel in Spain, what to see and do in Barcelona, exploring Catalonia (especially on this gorgeous coastal hike) and Northern Spain, gorgeous medieval villages you’ll want to visit. 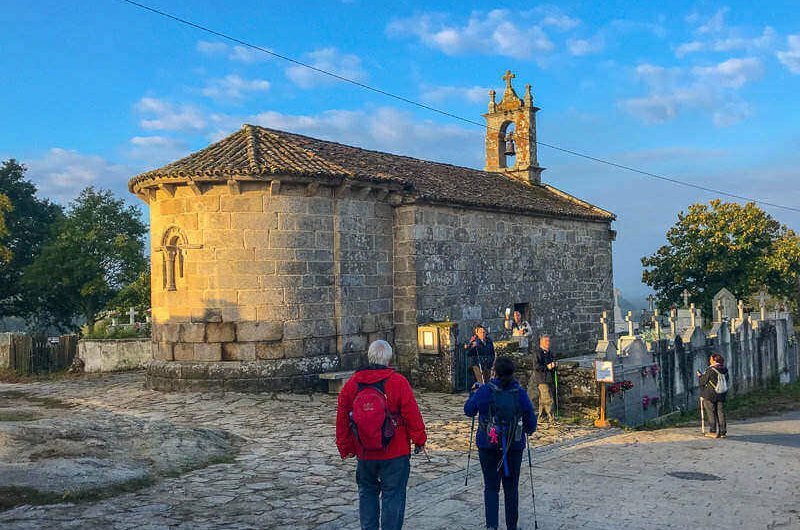 Plus, I write about what it’s really like to walk the last 100 km of the Camino de Santiago from Sarria to Santiago de Compostela. And so much more after my 20+ trips to Spain. Interested in walking the last 100 km of the Camino de Santiago in Spain? Find out what it's really like to walk this 1000-year-old route pilgrimage. Interested in walking the last 100 km of the Camino de Santiago in Spain? Find out what it’s really like to walk this 1000-year-old route pilgrimage. 14 of the best medieval villages and historic centres in Northern Spain. Not only are they gorgeous, but many have beaches and incredible coastal views. This unexplored part of Spain is definitely worth a visit. Beach of the Cathedrals: One of the Best Beaches in the World! The Beach of of the Cathedrals (Catedrais Beach) is not only one of the best beaches in Spain, but in the world! No wonder that it's a national monument. The Beach of of the Cathedrals (Catedrais Beach) is not only one of the best beaches in Spain, but in the world! No wonder that it’s a national monument. Cantabria is known as "Green Spain" with its natural landscapes, caves and over 60 beaches! Picos de Europa National Park was a particularly fabulous find and not what I expected in this part of Spain! Cantabria is known as “Green Spain” with its natural landscapes, caves and over 60 beaches! Picos de Europa National Park was a particularly fabulous find and not what I expected in this part of Spain! The Coastal Path in Asturias, Spain is a 65km long path with breathtaking views. It's an undiscovered paradise for both cyclists and walkers! The Coastal Path in Asturias, Spain is a 65km long path with breathtaking views. It’s an undiscovered paradise for both cyclists and walkers! 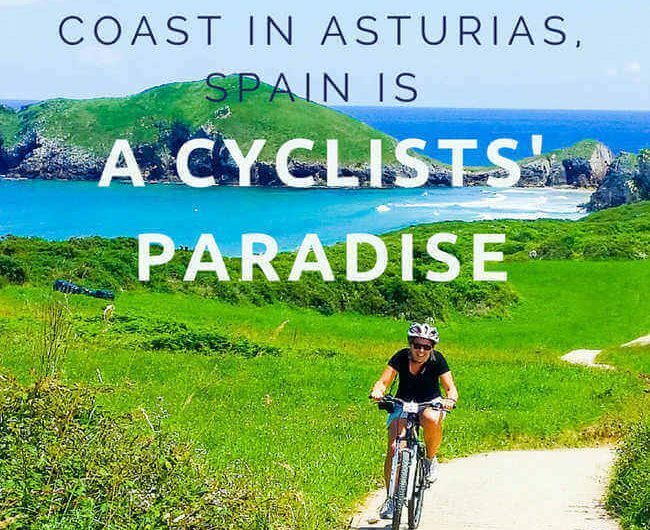 A visit to pristine Basque Country may be the remedy if you're a stressed out multi-tasking urban dweller in need of some serious rejuvenation! A visit to pristine Basque Country may be the remedy if you’re a stressed out multi-tasking urban dweller in need of some serious rejuvenation! The city wall was built in Roman times and dates back to the 1st century BC. Unlike most city walls, you can actually walk the entire length of this one. Ambitious visitors can even climb the towers for gorgeous views overlooking Girona and reaching to the Pyrenees. You can't go to Spain and not eat a Spanish Omelette (Tortilla Española)! It's one of Spain's most popular dishes! No trip planned? Bring the flavors of Spain to your kitchen with this recipe. You can’t go to Spain and not eat a Spanish Omelette (Tortilla Española)! It’s one of Spain’s most popular dishes! No trip planned? Bring the flavors of Spain to your kitchen with this recipe. 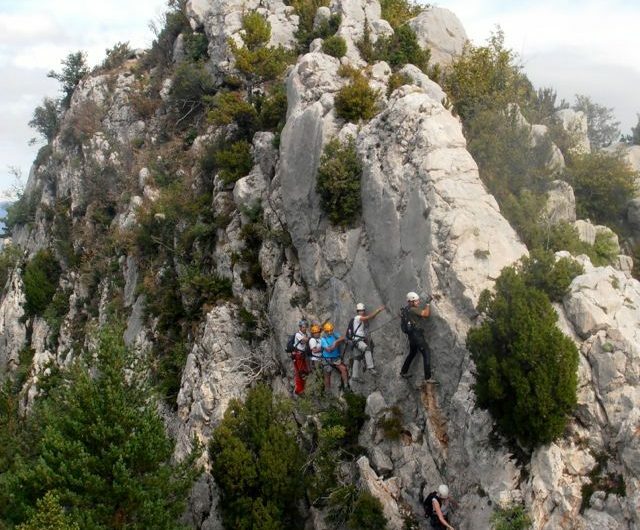 Via Ferrata in Vallcebre, Catalunya: Are You Brave Enough? I thought the via ferrata in Vallcebre Catalunya would be an easy one. To my pleasant surprise it wasn't. I loved both the thrill and the challenge. Would you do it? I thought the via ferrata in Vallcebre Catalunya would be an easy one. To my pleasant surprise it wasn’t. I loved both the thrill and the challenge. Would you do it? Most visitors to Barcelona visit the Gothic Quarter. But few learn the secrets held in the medieval streets. Fewer still capture themselves experiencing it. Check out these photos and you'll want to take a hot air balloon ride over Costa Brava, one of the most picturesque regions in all of Spain! Check out these photos and you’ll want to take a hot air balloon ride over Costa Brava, one of the most picturesque regions in all of Spain! Barcelona is the best place to follow in the footsteps of Gaudi. In one day I visited 5 of his UNESCO sites. But be warned Gaudi leaves big shoes to fill. I thought I would like the Vall de Núria in the Pyrenees but I didn't realize how much I would like it. The Pyrenees are stunning! I thought I would like the Vall de Núria in the Pyrenees but I didn’t realize how much I would like it. The Pyrenees are stunning! Eating like a local in Barcelona = eating delicious flavourful food that's in season, while not gaining any weight! Eating like a local in Barcelona = eating delicious flavourful food that’s in season, while not gaining any weight!